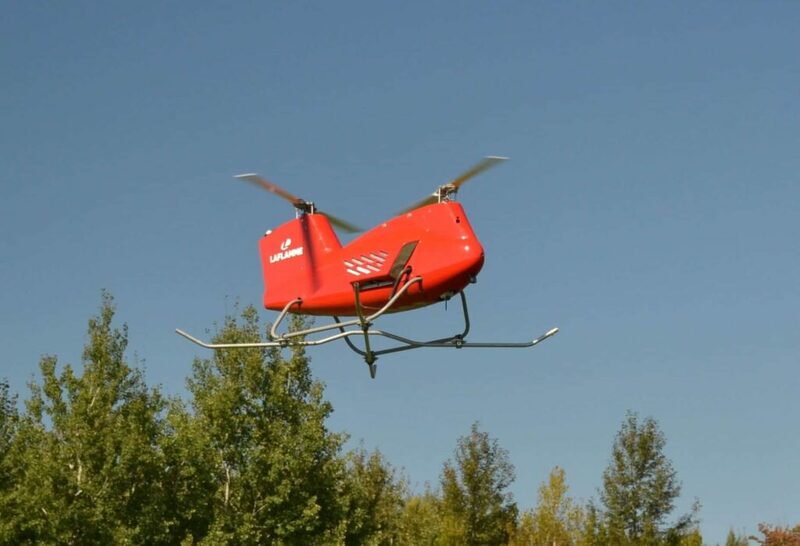 Laflamme Aero Inc., a developer of autonomous helicopters, has announced the successful conclusion of its first series of flight tests for its new helicopter drone, the LX300. With a 300 kg maximum takeoff weight, the LX300 is one of the world’s biggest helicopter-type drones to take flight so far. “We have just completed a very important step. Our first series of flight tests has demonstrated how stable the craft is and how maneuverable it is during takeoffs and landings. Several of those maneuvers are both complex and critical. There is no doubt that the results from those tests will allow us to move on more rapidly to the last steps of our development program,” commented Enrick Laflamme, president of Laflamme Aero. With an estimated useful payload of 90 kg, the LX300 targets both commercial and military applications. The defense and security sector, in particular, has demonstrated a considerable interest in Laflamme Aero’s drone, which has unique capabilities that facilitate the loading and transportation of various useful loads. “This was an important milestone for us. It shows remarkable team work which everybody can be proud of. We will keep working very hard since important steps are still to come for this fall, including our first autonomous flights,” added David Laflamme, director of the company. Laflamme Aero plans on continuing its series of tests over the next 12 months, in order to begin commercialization of the LX300 by autumn of 2019.